All of our translators are sworn, certified and they have the best qualification and many experience in translating various types of legal documents. Hence, when you have legal documents needed to be translated into your target language, no matter what type of language you need to translate, all translators here will be ready to help you. Translator Jakarta are professional as they have had enough experience in handling various legal documents, from the simplest to the most difficult one. Legal documents need to be translated correctly and accurately. The facts presented in the source documents should be translated into correct and accurate language target. If one translator makes a mistake in interpreting any words, phrases or sentences in the source document, then the consequences are quite large. He or she may have to deal with a legal action. He or she may be charged to take responsibility for misinterpreting the documents we are ready to take the risk. This company guarantees that all translators under the management will work professionally. 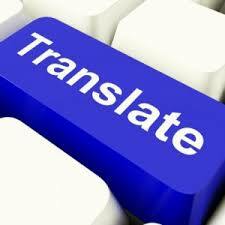 The translators here will carefully interpret and translate any legal documents you have. They always work carefully, especially when they have to find the match for any legal terms either from legal dictionaries or other sources. In addition, the translation process done by all translators here uses the best legal dictionaries provided by formal institutions, such as Pusat Bahasa. The translators here have been familiar with almost all legal terms related to legal documents, ranging from laws, minister regulations, decrees and statutes to various agreements. Using the service provided you will be satisfied with the translation results. Never doubt to use the service. Visit the site to convince yourself before you use the service.